The LRX-40 call recording device is used to connect your telephone handset to your PC to record telephone conversations. 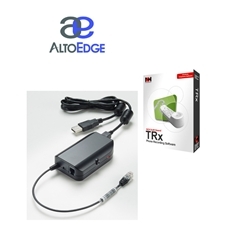 This adapter is suitable for analog, digital lines or PBX extensions. Recording Output: USB (suitable for both PC & Mac).